Incredible value for townhouse style condo with four bedrooms on one level and full basement. 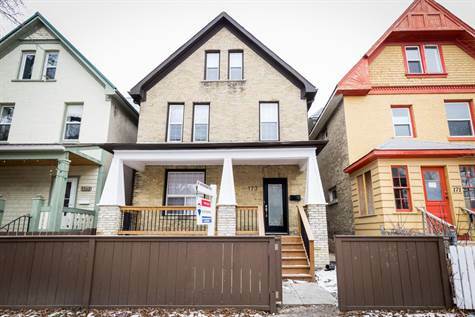 Close to shopping ,transportation and all other amenities Possibly the best value in this city for this type of property close to downtown, bus, shopping, schools, University of Winnipeg and steps away from very popular Langside Grocery. New paint throughout, hardwood floors, new windows and doors, new shingles 2017, 2 full baths, 5 bedrooms, backs onto park, quick possession possible, do not miss this terrific home!